With a broad commercial shipping practice, Kevin Cooper’s clients include major international shipowners and builders, charterers, cargo owners, salvors and shipyards, and their respective insurers. After Oxford University, Kevin served in the British Navy for 10 years. Having previously worked at another firm in its London, Shanghai and Monaco offices, he joined MFB in June 2018, where he continues to have a broad shipping and marine insurance practice. Kevin’s admiralty practice involves high-value multi-jurisdictional cases such as the collision between the container vessel MSC Joanna and the hopper dredger W D Fairway in Tianjin in 2007, the grounding and subsequent collision of the Khalijia 3 in Mumbai in 2010, the Altantik Confidence sinking in 2013 and the Norman Atlantic ferry fire in 2014. He also handles a wide range of charter party, cargo claim and shipbuilding matters. Kevin’s earlier experience as a criminal court advocate in the navy is now employed acting as an advocate in arbitration and mediation proceedings. He also advises on corporate ethics, crime and regulatory matters, especially anti-corruption policies and procedures. Kevin is dual-qualified as a solicitor and a barrister, regularly chairs and speaks at shipping sector events and has particular industry contacts in the passenger vessel sector and, regionally, in Norway, Italy, Spain, Portugal and the Americas. He speaks French, German, Swedish and Mandarin Chinese. GTDT: What is the current state of the shipping industry in your country? Kevin Cooper: The UK is one of the leading maritime centres in the world. Its shipping industry contributes approximately £10 billion to UK GDP and directly supports about 180,000 jobs. Many international shipping companies choose to manage some or all of their fleet from the UK, while a number of shipowners are based in the country. UK companies directly own about 13.4 million tonnes deadweight of trading tonnage, while UK companies have a controlling interest in 39.4 million deadweight tonnes. In addition, the UK maritime industry extends beyond the pure shipping sector to include ports, marine equipment and business services (eg, brokers, financiers, insurers, lawyers and consultants). As a whole, the UK maritime industry contributes about £37.4 billion to the UK’s economy and supports around 950,000 employees. Specifically, the UK ports industry is the second largest in Europe, handling more than 480 million tonnes of freight in 2016 (the most recent published figures). There are about 120 commercial ports in the UK, including major all-purpose ports, ferry ports, specialised container ports and ports catering for specialised bulk traffic, such as coal or oil. There are also a large number of smaller ports catering for local traffic or specialising in particular sectors, such as fishing and leisure boating. The UK ports industry handles 95 per cent of UK import and export by volume and directly employs approximately 100,000 people. The UK marine industry’s key market sectors include leisure, military, commercial and offshore renewable energy. Marine systems and equipment form an important element of the UK’s exports. While the military equipment sector is important, the global merchant shipping industry provides a massive potential market for commercial systems and equipment. The UK also has a growing super-yacht industry, which in 2017 posted its fifth consecutive year of growth, with a turnover of around £615 million a year and over 4,000 employees. Many leading international yacht designers are based in the UK. The leisure marine sector mixes service and manufacturing, from surveyors and charterers to specialist equipment manufacturers. There is also a fast-growing cruise industry. The UK leads the world in respect of marine insurance, with a 35 per cent share of global marine insurance premiums, and 60 per cent of protection and indemnity insurance. Furthermore, 26 per cent of global ship-broking is undertaken in the UK. The UK government is committed to the training of seafarers. The UK’s maritime education and training infrastructure is important in producing the next generation of maritime professionals. It is estimated that just over 23,000 UK seafarers were active at sea during 2017. The UK is home to leading maritime regulatory bodies, such as the International Maritime Organization (IMO) and the International Association of Classification Societies (IACS). The Baltic Exchange, an independent source of maritime market information for the trading and settlement of physical and derivative contracts, is also based here. The following influential maritime business service provider bodies are also located in the UK: the UK Chamber of Shipping, Maritime London, UK Major Ports Group, British Ports Association, British Marine, the Society of Maritime Industries, the Admiralty Solicitors Group, and the Shipbuilders and Shiprepairers Association. These all help to support and promote the UK marine industry. London is a leading centre for maritime financing. It also provides leading arbitration and mediation services to the global industry, from the London Maritime Arbitrators Association, the London Court of International Arbitration and the International Dispute Resolution Centre. The figures stated above are taken from the UK government’s own statistics and a CEBR report commissioned by Maritime UK, published in September 2017. Maritime UK is an association of shipping, ports and maritime business services sectors in the UK. GTDT: What are the prevailing shipping market trends affecting your country? KC: The global shipping market has experienced challenging times in recent years, following the 2008 financial crash. A slump in the shipping market, with deflated oil and commodity prices, together with overcapacity in some sectors, has affected shipping worldwide, not just the UK. The effects have been seen in the reduced amount of ship finance transactions that are taking place and the amount of finance available to the shipping market, but also in the amount of business being placed in the London insurance market. That said, UK lawyers, courts, and arbitration and mediation bodies have been involved in a large amount of disputes that have arisen as a result of adverse market conditions, either because UK-based parties are involved or because the relevant contracts are governed by English law or submission to the jurisdiction of the English courts or arbitration in London, as the common jurisdiction of choice for companies in the shipping sector. There have been a number of major insolvencies among international shipping companies, which have often led to domestic rehabilitation proceedings, the impacts of which have been felt worldwide. The increasing digitalisation of the shipping market has also played a significant part in changing the way the market does business. The digital revolution that has taken place across many sectors has revolutionised shipping processes and has brought with it benefits in security, efficiency and energy savings. GPS navigation, real-time weather data feeds and smart containers are just some of the technologies redefining the movement of goods. The IMO has actively supported the implementation of automated electronic data exchange from ship-to-ship and ship-to-shore to increase the efficiency, safety and security of navigation and communications. Ship operation and maintenance have also been affected by these technological advances. On-board machinery and equipment has become highly advanced. Digitalisation have opened up a huge market and brought with it many new business opportunities, but the use of digital navigation systems and interconnected data leaves ships potentially exposed to cyberattacks and accidental data leakage. These can also lead to potential issues of legal liability, business interruption and extortion. Major shipping organisations continue to raise awareness of cybersecurity risks. For example, the IMO has sought to address concerns surrounding cyberattacks on ships and, indeed, the International Safety Management Code and the International Ship and Port Security Code address cybersecurity vulnerabilities. In the meantime, the Baltic and International Maritime Council (BIMCO) produced its own guidelines on cybersecurity on board ships in February 2016 to assist the shipping market in protecting itself against these risks. BIMCO also published a statement in November 2016 supporting the IMO’s work to develop voluntary cybersecurity guidelines with further recommendations. Subsequently, in June 2017, the IMO Maritime Safety Committee approved various measures intended to enhance maritime security, including adopting a resolution that cyber risk management form part of ships’ safety management systems going forward. The UK government, as part of its national cybersecurity strategy, published a Cyber Security Regulation and Incentives Review in 2016. The UK’s strategy included a five-year plan estimated to cost £1.9 billion and is aimed at making the United Kingdom a safe place to live and do business online. More recently, the UK implemented the EU Network and Information Security Directive into domestic law on 10 May 2018. Also, the recent implementation of the General Data Protection Regulation (GDPR) has cybersecurity implications, increasing pressure on shipping companies to tighten their cybersecurity and to adopt improved practices. The international refugee crisis has posed many challenges for the maritime sector for some years, including the practical difficulties of dealing with the rescue of distressed persons at sea. For example, the Italian government’s recent decision to close its ports to migrants rescued by vessels operated by humanitarian non-government organisations (NGOs) raised concerns as to how this could affect the Mediterranean trade traffic, as well as potentially having serious implications for the safety of life at sea. As merchant vessels are required to come to the rescue of any person in distress at sea under the IMO’s Safety of Life at Sea Convention, the withdrawal of NGO vessels could result in greater pressure for merchant vessels to commit to more rescue missions. Maritime piracy, which posed a significant threat to the shipping market for many years, including taking a significant financial toll, is generally in decline. The number of piracy incidents is at its lowest level since the late 1990s, according to the IMO. Modern maritime piracy reached its peak around 2011, with Somali pirates attacking hundreds of ships off the coast of Africa. Since then, counter-piracy operations, including military intervention, have largely successfully suppressed these incidents. According to Oceans Beyond Piracy, the total economic costs of Somali piracy in 2017 was US$1.4 billion, compared to US$7 billion in 2010. Nonetheless, a spike in piracy events in the Horn of Africa in the spring of 2017, including the hijacking of Aris-13, indicates that Somali criminal networks are still capable of sophisticated attacks. Piracy also remains a threat in other areas, such as the Gulf of Guinea and the Malacca Straits. GTDT: Are there any recent domestic or international political or legislative developments that may have an impact on your country’s shipping market? KC: Brexit is the key political development of recent years for the UK shipping market. Although the UK and EU agreed, in March 2018, provisional terms for a 21-month Brexit transition period to run until the end of 2020, political uncertainty remains as negotiations on the question of Customs Union membership, particularly the arrangements on the Irish border, continue. Until the UK’s future trade relationships with EU and non-EU countries have been decided, there may be a temporary slowdown in UK maritime traffic and more muted growth, at least in the short term. In the long term, however, Brexit is not expected to have a dramatic effect on total UK maritime volume, particularly once new trade agreements between the UK and other EU and non-EU countries have been concluded. London’s prominence as a major insurance, legal, broking and general shipping services hub means that many businesses that are currently based in the UK, or that do significant business with the UK, will not move or take their business elsewhere. Indeed, some businesses that currently operate abroad may choose to move to the UK once EU laws cease to be applicable. The UK tonnage tax regime is not derived from EU law, but rather it is governed by domestic legislation. The UK is currently required to comply with EU state aid law but, as and when it no longer needs to do so, there may be a relaxation of the rules, which could encourage more UK tonnage. There are potential employment law implications for the UK following Brexit. The laws that govern employment on board ships are predominantly found in the Maritime Labour Convention 2006, an international convention, rather than being derived from EU law, but a number of EU employment regulations have been incorporated into domestic law and will likely continue to be in force after the UK leaves the EU. Similarly, environmental and safety regimes affecting the shipping market are primarily embodied in international conventions rather than being limited to EU regulations, and it is expected that key EU environmental regulations will continue to be incorporated into UK domestic law following Brexit. Irrespective of the outcome of the UK’s trade discussions with both EU and non-EU countries, English law is likely to continue to be chosen to govern international contracts and transactions. The Lord Chief Justice supported this view in a speech at Beijing in 2017, in which he offered the opinion that Brexit will have no significant adverse impact on English law and on London’s thriving arbitration and litigation services. English court jurisdiction and London arbitration institutions are also likely to remain the preferred choices for dispute resolution among international contracting parties: there are more arbitration proceedings seated in London each year than in Singapore, Paris, Stockholm, Geneva, Dubai and Hong Kong combined. The Trump presidency is another potentially significant international political development. However, while the United States is the largest economy in the world, it is only the sixth-largest shipping nation and owns less than 7 per cent of the world merchant fleet. Nonetheless, increased protectionism on the part of the US and more trade barriers, as proposed by President Trump, may impact on global trade generally. A hardening of US sanctions against countries such as Iran in particular, as indicated by its withdrawal from the Joint Comprehensive Plan of Action may also have an adverse effect on the shipping market. Conversely, however, the recent summit between Trump and Kim Jong-Un may see a loosening of the sanctions on North Korean-owned vessels. Any effect from the sanctions will be felt on the global shipping market, and not just by the UK. The risk of increased protectionism in Europe remains uncertain, with contrasting elections in the EU resulting in stark momentum swings between populism and liberalism. For instance, the Dutch election in March 2017 resulted in the defeat of the far right, who are anti-immigration and anti-EU, labelled as ‘the Dutch Trump’. Some commentators also described the French elections, which took place in May 2017, as ‘pitting liberalism against protectionism’, which liberalism appears to have won with the election of Emmanuel Macron. However, the rise to power of the anti-establishment parties in Italy, Europe’s fourth-largest economy, at the election in March 2018, tells a different story. GTDT: What are the key regulatory and compliance issues for your country’s shipping market? KC: The UK is subject to a wide range of regulatory legislation under domestic, regional (at least until the implications of Brexit become clear) and international law. The latter includes resolutions and conventions sponsored by various UN agencies, such as the IMO. In recent years, the IMO and the EU have been particularly active on environmental regulation, reflecting the global initiative to reduce ship emissions and pollution of the marine environment. From an international point of view, the IMO periodically proposes and adopts amendments to revise the key convention in this area – the International Convention for the Prevention of Pollution from Ships (MARPOL 73/78). In relation to ship emissions, it has done so with revisions to MARPOL Annex VI, which came into force on 1 July 2010. The EU has also become increasingly active when regulating maritime safety and the marine environment. Indeed, the EU regime is, in some cases, more stringent than the international framework. Among the more significant regulations in this area are the international and regional restrictions on sulphur emissions, which have a considerable impact for owners and operators, particularly affecting operating costs and their contractual arrangements. In addition, the Ballast Water Management Convention came into force in September 2017. This convention addresses the problem of unwanted marine organisms having damaging impacts on local ecosystems through their unintended transportation in ships’ ballast tanks. Under the convention, ships are required to manage their ballast water to remove, render harmless or avoid the uptake or discharge of, aquatic organisms and pathogens in ballast water and sediments. The Maritime Labour Convention 2006 (MLC) was ratified by the UK on 7 August 2013 and came into force, for the UK, on 7 August 2014. The MLC aims to ensure minimum standards for seafarers’ employment at sea; it is often referred to as the seafarer’s ‘bill of rights’. It is important for shipowners and ship operators to understand the impact of their obligations under the MLC. Its scope is very wide: it aims to achieve protection for all seafarers. This is reflected in the broad definition of ‘seafarer’ as being ‘any person who is employed or engaged or works in any capacity on board a ship to which this Convention applies’. The intention is to cover all persons employed or working on board the ship, in any capacity whatsoever, including the self-employed. Enforcement is through a combination of ‘compliance awareness’ at all levels, flag state control and port state control. The UK’s Modern Slavery Act 2015 came into force on 31 July 2015 and addresses the rise of new forms of slavery. These include imposing an obligation on companies with a turnover of over £36 million or greater to disclose what they are doing to eradicate slavery within their supply chains. Shipowners, particularly those with links to the UK, need to ensure that they have adequate anti-slavery and anti-trafficking policies in place. They may be particularly affected as an industry because, in some circumstances, the legislation provides for the forfeiture of vessels that have been used (or were intended to be used) for such trafficking. The act consolidates the UK’s existing anti-slavery legislation and is a response to the increased public awareness of these issues. It makes it an offence to knowingly hold another person ‘in slavery or servitude’, to make them ‘perform forced or compulsory labour’ or, importantly for shipowners, to ‘arrange or facilitate the travel of another person’ with a view to their being exploited. Shipowners maintaining a part of their business in the UK with a turnover of £36 million or greater should invest resources in investigating their supply chains in order to publish annual statements, as required by the Act. Those to whom the Act does not apply directly are well advised to investigate their supply chains anyway, to enable their contractual counterparties in the UK to satisfy their own obligations under the Act. Further, shipowners need to be aware of and address the risk of ship forfeiture. There may be a significant risk of the complete loss of vessels because conventional insurance taken out by most shipowners may not cover the forfeiture of a vessel in these circumstances. In October 2017, the UK government released updated guidance on, among other things, section 54 (the Transparency in supply chains and reporting obligations). It is not meant to change the law but serves as important guidance and encourages organisations with turnovers below the £36 million mark to produce a section 54 statement voluntarily. The Act may also have future additional compliance implications; there is proposed legislation currently under consideration by Parliament to amend the Act that includes requiring commercial organisations and public bodies to (mandatorily) include a statement on slavery and human trafficking in their annual report and accounts. The UK’s Bribery Act 2010 (the Bribery Act) came into force on 1 July 2011 and replaced previous UK anti-bribery and corruption laws that comprised a mix of common law and various old statutes. The Bribery Act has extraterritorial reach, in that any UK subject or company can be liable in the UK under the act for their business practices abroad. In addition, non-UK companies will potentially be affected if they have a UK office or presence, even if the offences complained of were not approved or financed by the UK branch or subsidiary. The new offence created by the Bribery Act that remains of most concern to international companies is a corporate offence of failing to prevent bribery that, broadly, creates liability where a company benefits from bribery committed by an ‘associated person’, even when the company did not know the bribery was taking place. The only defence to a substantiated allegation that a company has failed to prevent bribery is that it had adequate procedures in place to prevent the conduct complained of. Penalties that may be imposed for breach include unlimited fines for the corporate offence and fines or imprisonment (or both) for other breaches. In addition, on 27 April 2017, the Criminal Finances Act 2017 (CFA 2017) received royal assent, meaning that it is now law. The act introduces a new offence of failing to prevent the facilitation of tax evasion, as well as changes to certain aspects of the current anti-money laundering and counterterrorism financing regimes. There was speculation that, as part of this financial crime reform, the government would take the opportunity to apply the principles of the corporate offence of failing to prevent bribery to include a failure by an organisation to prevent other economic crimes (such as fraud and false accounting). This has not, however, been included in the CFA 2017, although such an amendment might be introduced in the future. In August 2016, the UK Insurance Act 2015 (the Insurance Act) came into force. It introduced the most significant changes to commercial insurance law in the UK for at least 100 years. The changes have a significant impact on both insurers and insureds, creating new obligations for both. One important feature of the Insurance Act is that a breach of an insurance warranty no longer automatically discharges insurers from further liability under the insurance contract. Instead, the contract is suspended until the breach of warranty is remedied. In addition, an insurer is not liable to pay any part of a fraudulent claim and may recover any money paid in respect of that claim prior to discovery of that fraud. There is also a greater emphasis on the insurer to ask questions about the risk and to make clear what information it requires (a positive duty of inquiry). It is possible to contract out of certain provisions of the Insurance Act in non-consumer insurance. From May 2018, the GDPR came into effect throughout the EU (including the UK). This regulation applies throughout the EU and is aimed to ensure adequate security measures are in place in handling, processing and storing of data of all individuals. Failure to comply with this regulation could see companies facing fines in the range of €20 million or 4 per cent of the companies’ annual global turnover (whichever is the greater). This regulation impacts on the shipping industry as a whole, particularly where a large volume of sensitive and personal data may be held or where it is likely, for operational purposes, used beyond international borders. GTDT: What are the shipping industry’s current sources of finance? How do you predict they will develop, and what are the advantages and challenges to financing a vessel in your country? KC: Traditionally, sources of lending were spread throughout European, pan-Asian and, to some extent, Australasian banks, with occasional involvement from US hedge funds, venture capital (VC) investors and the Scandinavian bond market as opportunities in vessel values and charter rates varied during the usual course of the shipping industry’s economic cycle. As successive financial crises struck, a number of long-standing traditional financiers that historically dominated the shipping market, particularly the European banks, began to withdraw from shipping, either closing their books to new business or, in some cases, running down their portfolios and exiting the industry altogether (eg, The Royal Bank of Scotland and Commerzbank). The Scandinavian bond market closed its doors, and the speculative short-term investors comprised of hedge funds and VC trusts found their immediate losses to be at odds with their short-term investment strategies, and so they too began to withdraw from the industry. Although this has been triggered by the financial crisis, other factors include the increasing regulation and scrutiny faced by the European banks, particularly as a result of the Basel Regulations and following the significant losses in recent years by these banks in the shipping industry. The retreat of European banks provided an opportune market gap for East Asian players, particularly the Chinese banks and their abundance of capital, to step in and build new shipping portfolios or expand existing ones. At the time of the financial crisis, the top 15 global shipping lenders did not include a single East Asian bank. Skip to 2016 and the Bank of China, China Eximbank and Korea Eximabank not only made it into the top 15, but also occupy the global second, third and fifth places respectively. While, historically, opportunistic investors have exited the market in the face of large losses, there are now potential opportunities to acquire cheap vessels as the various sub-industries (tankers, chemical carriers, oil carriers, bulkers, containers) dip and rise on the market, providing ‘prospectors’ with opportunities to bet on vessel values and charter rates. Traditionally, relationship banking was key but, as economic pressures mount, the need for finance by owners, and the reduction in the appetite of banks (through sub-participation or otherwise), has seen an increase in alternative sources of funding. In particular, the small- to medium-sized owners are becoming increasingly interested in alternative sources of funding such as high-yield bonds, convertible debt, capital and operating leases, as well as preferred equity structures. In light of current issues with the global economy, those financial institutions that are still engaged with the industry, such as Credit Suisse, ING, BNP Paribas, ABN Amro and DVB, seek to limit their exposure by dealing only with the largest and strongest of owners (the credit standing of the borrower and the ‘name’ is key, with asset values and potential earnings seeming to play a secondary role). The result of these pressures is likely to be greater consolidation among smaller owners to create larger fleets and thus a safer bet for the banks. If the Chinese economy is able to ride out the current storm, then we anticipate that Chinese banks and Chinese leasing companies will retain the centre stage, and it is likely that the bond market and US hedge fund model will try to compete at some level (particularly if vessel values fall in certain sub-sectors), with such entities still keen to speculate on an eventual upturn for cheaply acquired assets. The UK is well placed in its continued service of this industry, with a wealth of experience and advisers with well-established international offices headquartered in London. English law is particularly well suited to ship finance, being one of the oldest and most stable of legal systems; it is predictable, being based upon precedent, much of which is rooted in the country’s maritime tradition and supported by specialist law firms that have grown around the industry. While traditional Western shipping banks are withdrawing from the sector, in light of the international nature of the service providers that have fostered this industry, London still remains a core hub for the facilitation of transactions, even though the source of the finance may originate from more easterly shores. GTDT: Have there been any recent significant domestic or foreign court decisions or arbitration awards that impact on your country’s shipping market? KC: Parties to international shipping contracts commonly choose English law to govern their contracts because it is predictable and commercial. Similarly, they often choose to have their disputes resolved in the English courts because the English courts and judges have a reputation for offering quality and experience. As a result, many significant shipping decisions are heard in the English courts, and the past year has been no exception. 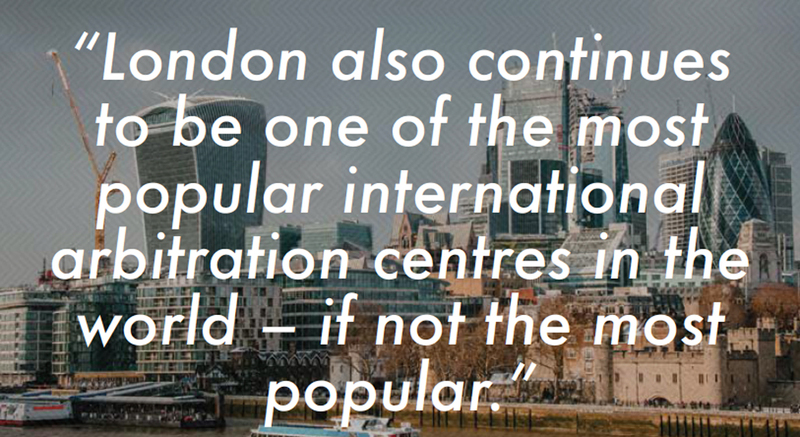 London also continues to be one of the most popular international arbitration centres in the world – if not the most popular. While, in the UK, arbitration awards are confidential to the parties, any English arbitration award that goes to appeal will be heard by the English courts, and that judgment will be made public. There is, therefore, an impressive body of English shipping case law to guide the market in its day-to-day commercial and contractual activities. It is not possible to do justice to all the significant case law that has been generated by the English courts in recent years, but it is worth highlighting the following. The New Flamenco. This case deals with the complex area of assessing damages for breach of a charter party where there is no available market and what actions by the owners will be taken into account to reduce the damages they are claiming. The Maersk Tangier. A Court of Appeal decision concerning the compulsory application of the Hague Visby Rules where no bill of lading is issued, and application of the package limitation provision. The Aconcagua Bay. Determined the meaning of the warranty ‘always accessible’ often found in voyage charter parties. The court held that the warranty applies both when attempting to reach the berth and when departing from it. The RENOS. The Court of Appeal ruled that SCOPIC expenditure could be included in ascertaining whether a casualty was a constructive total loss. Transgrain Shipping (Singapore) Pte Ltd v Yangtze Navigation (Hong Kong) Ltd. The Court of Appeal provided an important clarification as regards to the apportionment of liability for cargo claims under the New York Produce Exchange Form Inter-Club Agreement. The Longchamp. The Supreme Court handed down its judgment, which was the first case the English courts have had to interpret the meaning of Rule F of the York-Antwerp Rules 1974. Ocean Victory. A Supreme Court decision in an unsafe port dispute. Atlantik Confidence. Breaking limits under the Limitation Convention 1976. Outlined below are some highly noteworthy decisions stemming back to 2016–2017, which still remain highly noteworthy, two of which are decisions of the UK Supreme Court. The first, The DC Merwestone, has caused much controversy and is very important for marine insurers. Overturning the two lower court decisions, the majority of the Supreme Court upheld the insurance claim of the owners of a damaged dredging vessel, who had lied to the underwriters when presenting their claim. This ‘collateral’ lie told by the owners was held to be irrelevant to the claim being valid and, unlike a fraudulent claim, it did not provide the underwriters with a good reason not to pay out under the policy. It is expected that some insurers may decide to amend the wording of their policies as a result. The other Supreme Court decision of note is The Res Cogitans. This was litigation arising out of the much-publicised collapse of the Danish-based OW Bunker Group. The Supreme Court confirmed that bunker suppliers that were unable to transfer property in bunkers supplied to a ship were nonetheless entitled to the price of the bunkers from the shipowners. This decision came as a disappointment to the shipping market and was an unwelcome outcome for those regularly entering into bunker supply contracts. It meant that many standard bunker industry forms would have to be revised to protect the position of those purchasing bunkers from bunker traders in the future. An important charter party dispute was Spar Shipping v Grand China Logistics, heard by the Court of Appeal. The court confirmed that a failure to pay time charter party hire punctually will not automatically allow a shipowner to claim damages in addition to withdrawing the vessel. However, if the shipowner can show a repeated failure by the time charterer to pay hire punctually or at all, then the charterer’s breach of contract may be sufficiently serious so as to allow the shipowner to terminate the charter party and claim its losses. The prompt and full payment of hire in advance is a critical one for owners and there have been many instances of charterers defaulting on hire payments in the current market conditions, leaving owners unsure as to whether they can validly terminate the charter party. This appeal decision has hopefully resolved uncertainty arising from conflicting lower court decisions. GTDT: What is the outlook for your country’s shipping market? raising the awareness of financial institutions about investment opportunities across the maritime sector. More specifically, the Maritime Growth Study recommended reform of the UK Ship Register (UKSR) and the UK Maritime Coastguard Agency (MCA). In response, the government has been taking action to put the UKSR on a more commercial footing. In January 2017, the government appointed the MCA’s first non-executive chairman. The MCA has also appointed a new director of the UKSR, who took up his post in April 2017. Both these appointees played a leading role in shaping the future transformation of the UKSR and championing the UK flag. maritime 2050 – a long-term strategy for the maritime sector. No doubt the focus will develop and change over the coming years, as and when key milestones are achieved. In November 2016, the UK government produced an independent report on UK National Shipbuilding Strategy. The Strategy is a reappraisal of how the UK undertakes shipbuilding, with the aim of delivering a modern strategy and making UK naval shipbuilding sustainable in the long term. With the UK government having accepted all of Sir John Parker’s recommendations it proceeded to publish the report in September 2017. The Shipbuilding Strategy lays out an aggressive timetable for the Type 31e frigate and provides a means by which the Royal Navy will procure and build its new fleet of general purpose frigates. The UK has committed to a fleet of eight Type 26 frigates, the first of which is due to enter service in mid-2020. Furthermore, the UK remains committed to building Navy warships in the UK but the design and build will be open to competition rather than via a non-competitive single source contract with BAE Systems. To a certain extent, the future of the UK’s shipping market will depend on the new trade deals that the UK government concludes with both EU and non-EU countries, post-Brexit. There is good reason for optimism, however, as the government has expressed its intention to take a global and commercial view of UK trade going forward. The government is likely to try to conclude new or improved bilateral trade agreements between the UK and countries such as the US, Canada, India and Latin American countries. It may indeed be easier for the UK to conclude advantageous trade agreements without having to obtain the approval of the other EU countries. Statistics for the first half of 2016 showed that the UK imported more containers from Asia than any other North European country and that 15 out of the 17 Asia-northern Europe loops called at British ports. It is predicted that container lines will continue to call at UK ports at the same high volume as has been the case in the past. What are the particular skills that clients are looking for in an effective shipping lawyer? An effective shipping lawyer needs to combine solid knowledge of the law with a grasp of technical issues and sound commercial judgment. Commercial acumen is particularly important in the challenging market conditions we have been witnessing in recent years, because a value judgment often has to be made as to whether a case is worth pursuing, balancing how much it will cost with what recovery is likely to be made. The work is truly international in nature and a shipping lawyer must be fully aware of global market and other relevant developments. The lawyer must be available around the clock and must also be able to communicate advice clearly and simply: adaptability and innovativeness are essential, as well as a recognition that the law is to be used as a tool to achieve the client’s commercial aims. What are the key considerations for clients and their lawyers when arranging finance for a shipping transaction? One key consideration for the borrower and the lender is flexibility, but their respective approaches will likely be opposing. Borrowers look for supportive, long-term relationship-driven financial partners, and expect to be supported when times are tough. However, financiers are no longer able to weather every storm and need flexibility to exit transactions through sub-participations or sales. Borrowers require the flexibility to run their businesses as they see fit, taking decisions quickly and changing tack as necessary to exploit an advantage, whereas lenders are often averse to risk, and seek to manage it by preserving the nature of the borrower, restricting its ability to take decisions or change how it operates. As a result of this, the parties and their advisers must strike a balance between robust protection for a lender and freedom to operate in a commercially viable manner by the borrower. This requires industry experts, familiar with the nature of the assets and the industry in which they operate, and a spirit of cooperative, relationship-driven transaction management. What are the most interesting and challenging cases you have dealt with in the past year? The Atlantik Confidence has continued to keep me busy. It is a case that led to the Court of Appeal ruling on whether it is possible to establish a tonnage limitation fund by means of a P&I Club Letter of Undertaking (it is possible). This is also the first case, since the introduction of the 1976 tonnage Limitation Convention into UK law, in which the right to limit has been denied, the judge having found that the bulk carrier was intentionally scuttled. Another interesting case resulted from the fire on board the Norman Atlantic ferry in December 2014. I represented the owners and their P&I insurers and the case involved both civil and criminal proceedings in multiple jurisdictions.